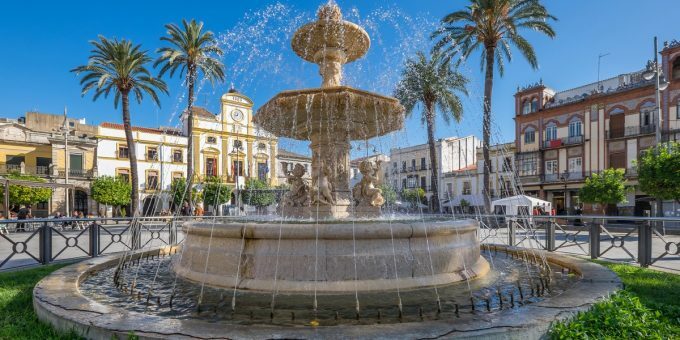 Mérida is known as the “white city”—a reference to the elegant white-stone buildings along Paseo Montejo—and it’s also the capital city of the state of Yucatán, renowned for its rich Mayan history, and its vibrant, contemporary cosmopolitan cultures. Over the last decade, Mérida has also become a very popular city for foreign residents moving Mexico. Because of the large peninsula on Mexico’s southern region, Mérida is actually situated about 50 miles north of the nation’s capital, even though people in Mexico City talk of traveling “south” to Mérida. It’s difficult to get lost in Mérida itself; the city is laid out in a grid with even numbered streets running north-south and odd numbers east-west. 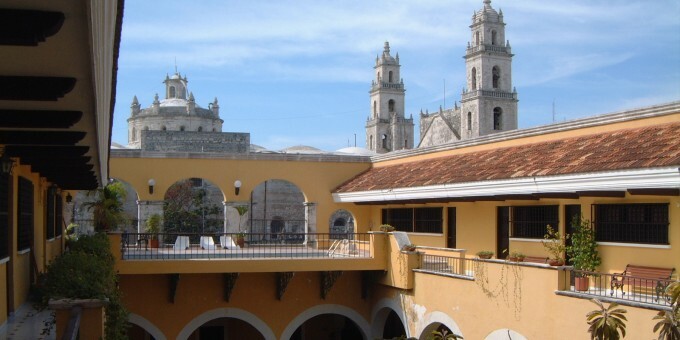 As the state’s capital, Mérida is a hub of economic, cultural and political activity and extremely well connected by land and air to other parts of the region and the country. 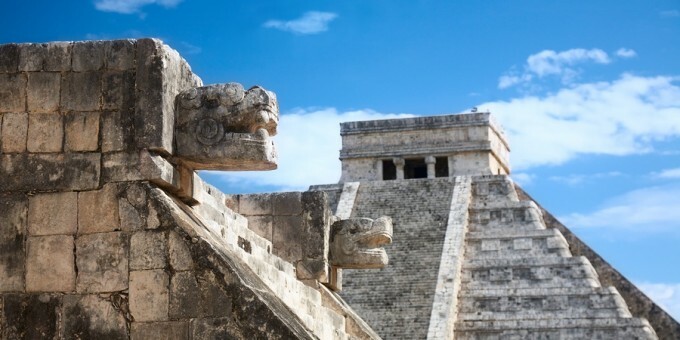 The city has a considerable charm and buzz about it, and its contrasts help help to cultivate its diversity: Mérida is cosmopolitan and quaint; Mexican, but with a strong Mayan influence. 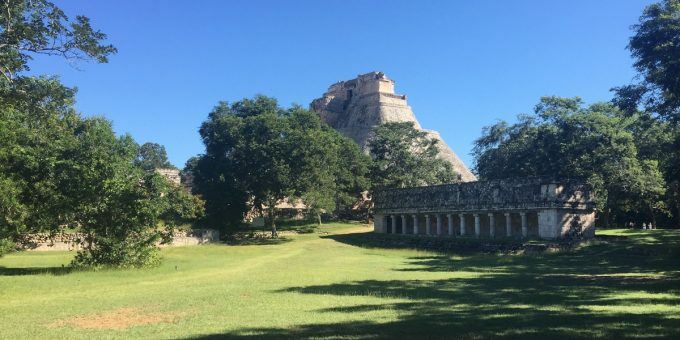 The city is an excellent base from which to explore the region, including the archaeological wonders of Chichen Itza and Uxmal — as well as other less well-known, but equally important archaeology ruins in the vicinity, especially those along the Ruta Puuc. There are hotels and amenities here to suit every budget, style and taste and there is always something happening in Mérida: concerts, festivals, parades, and celebrations are almost a constant feature in this vibrant and multi-faceted city. Getting around is easy; the streets are laid out in a grid format and you can walk to most of the main attractions in the center; and even taking a cab or App Cab to the places further away from the heart of the city is good value. Historically, Mérida wealthy inhabitants were land barons and the scale of their wealth can be seen today along Paseo Montejo, an boulevard which was inspired by the Paseo de la Reforma in Mexico City and which is host to large, opulent white stone mansions. Today those old mansions are used principally as public buildings, museums, or corporate offices. Mérida’s present-day wealth is built around the maquiladoras (assembly plants) and tourism, both of which have grown significantly during the last two decades. In recent years, Mérida has seen, and continues to undergo, an explosion of art and culture. 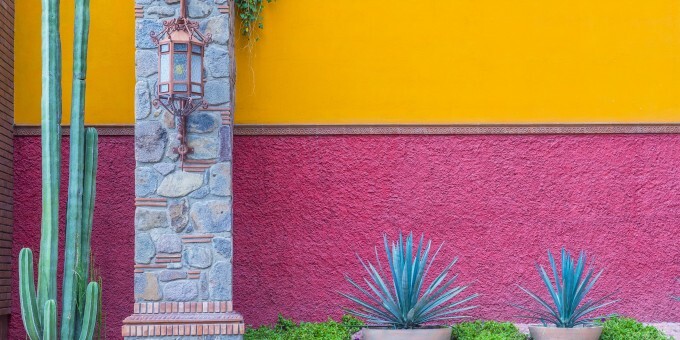 If you’re traveling around Mexico’s southern peninsula, a visit to Mérida is a must; better still, consider using it as a base from which to explore the region, but even if you’ve only come to this part of the world to see beaches or archaeology, spend a a couple of nights or more in Mérida—you won’t leave disappointed. The central plaza, Plaza Grande, is dominated by the Catedral de San Idelfonso; it’s not the most striking in Mexico, but its size is immediately apparent when you arrive at the main square. The Municipal Palace is on the opposite side of the square while the Government Palace, which looks non-descript on the outside but is stunningly attractive inside, features some wonderful paintings and murals that depict Yucatan’s rich Maya history. In contrast, the murals and paintings in the Government Palaces feature the Aztec indigenous cultures of central and northern Mexico. On the south side of the Plaza Grande is the Casa de Montejo which locals sometimes refer to as the “Palacio de Montejo”. It was a private home, inhabited by the descendents of its creator (and Merida’s founder), Francisco de Montejo until 1980. Most of the building is closed to the public; today it’s a working bank branch for Banamex and also offers currency exchange. The “White City” title that Mérida has derives from the stately homes and mansions that adorn the sides of Paseo Montejo, about 10 blocks north of the center, standing opulently in gleaming white stone. The Paseo de Montejo is a tree-lined boulevard, which was supposed to be as grand as Mexico City’s Reforma Avenue. There are still some private homes along here, although most of the buildings have been turned into public offices, corporate offices, and one of the most majestic buildings is now home to Yucatán’s Museum of Anthropology (see below). Mérida has a number of fine museums, the most significant is the impressively housed Museo de Antropologia (Anthropology Museum) which is situated at the majestic Palacio Canton on Paseo de Montejo and, the Gran Museo del Mundo Maya—an impressive, purpose-built, museum to showcase Mayan history and culture: this museum holds many of the fine artifacts from the Mayan ruins and also explains much about the history of the region going back to the age of mastodons. The Museo Nacional de Arte Popular (National Popular Arts Museum) is a few blocks northeast of the Plaza Grande and offers displays of fine art and crafts from the locality. On Calle 61 you’ll find the Museo de la Ciudad (City Museum) which displays a history of the city and the region. There’s no better way to learn Spanish than by becoming immersed in it at a language school in Mexico. Mérida is well-known as a cultural and historic city and there are number of fine language schools here. Read our guide to Learning Spanish in Mexico for more details and to find a language school in Mérida. To see a park full of trees, one from each country on the American Continent, visit Parque de las Americas which is Avenida Colón. There’s a children’s playground, zoo, botanical gardens visit Parque Centenario. The zoo features some exotic species of animals as well as fauna from the region. Good spas are available in Mérida and around the entire Yucatan region—including spa facilities in many of the fine hacienda hotels situated across the region. For more information about spas, and how to get access to a magnificent health experience in Mexico, connect to the Mexperience guide to Spas in Mexico. By Air – You can get to Mérida from Mexico City and Cancun as well as Houston and Miami. Mérida’s international airport is about 5 miles southwest of Merida’s city center. Land Transport is available from the airport into town; if you’re traveling alone or with just one or two other people, ask for the lower fare option which will mean you share the cost with others in a suburban van. If you want to rent a car, agencies have desks inside the main airport terminal building – note that booking in advance is likely to save you money (see below for car rental). For detailed information about flights and flying, see the Mexperience guide to Air Travel in Mexico. By Bus – To get to Mérida from Mexico City, your best bet is to fly there (see above); the bus journey from Mexico City to Mérida takes about 24 hours. See the Mexperience guide to bus travel in Mexico. By Car – If you’re planning to drive to Mérida as a part of road trip in Mexico, expect the journey from Mexico City to take you around 20-24 hours. You could also rent a car in Mérida, and use this city as a base to explore the magnificent Yucatán region. See additional information about Driving in Mexico on Mexperience. Local Buses – Local buses inside Mérida city readily are available: consult the local tourism office for details or ask locally for nearest bus stop. However, the regional bus travel in this region is limited in comparison to other regions (e.g. the colonial heartland) in Mexico, so renting a car (see above) is the most flexible way to see the surrounding areas. Taxis – Local taxis are widely available, and they are all fitted with colored discs which set a fixed rate depending on which zone you started and end up in. They are plentiful, friendly and excellent value. See the guide to Taxi travel in Mexico here on Mexperience, for more information. February is a busy month for events in Mérida. This is when the local university celebrates its anniversary and provides a range of free concerts and performances including folk ballet and music reaching back to its Afro-Caribbean roots. Merida’s Carnival takes place just before Lent (exact dates depend on when Easter takes place) and is an explosion of art, music, costumes dancing and processions. Every Weekday – Something happens every day of every week in Mérida. On Sundays the center of town is closed off to traffic between 9 am and 9 pm for the weekly fair Mérida en Domingo; Mondays is the Vaqueria Regional which has its roots in the cattle ranching communities, the festival offers music and dancing; Tuesdays from 9 pm at Parque Santiago you can hear live bands playing; Wednesdays the local theatre puts on a play (admission fees apply); Thursdays music and dance is presented at the Parque Santa Lucia from 9 pm; Fridays from 9 pm the Ballet Folklorico at the local university performs typical regional dances; Saturdays the Noche Mexicana (Mexican Night) featuring Mexican music and dance starts from 9 p.m. Exchanging Currency: Banks with ATM machines can be found in the downtown area of Mérida. For detailed information about exchanging and managing your money, read the Mexperience guide to Money in Mexico. Internet Access: Internet cafes can be easily found in towns and cities across Mexico and WiFi is increasingly commonplace—from cafes, shops, hotels, and Mérida now offers free WiFi in some defined public spaces. Mérida is the perfect place to buy Yucatecan arts and crafts and two other items in particular: Panama Hats and Hammocks. Although the center of Mexico’s hat-weaving trade is in a town in the state of Campeche south of here, there does exist a good trade in Panama Hats in Mérida, which are made from the leaves of the Jipijapa Palms. The weavers work in caves where the air is humid and the palm leaves remain soft and pliable. Once exposed to the dryer air and heat, they provide excellent protection against the intense sun that you will encounter in this part of the world. From April to October the weather in Merida is hot and is exceptionally hot in the summer months between May and September. The rainy season runs May thru October, and often manifests itself as strong, sudden and gushing tropical showers or storms in the afternoon. November through March the weather is cooler and sometimes breezy.